Spanish Cup: Sevilla-Getafe (1-0) | Sevilla F.C. As they did three years ago, Sevilla arrived at the Bernabéu for the cup. The last time they were playing in a semi-final. On that occasion, Sevilla came away empty-handed. This Sevilla, led by Juande Ramos, is very different. It’s a winning team, a team that performs in finals, a team that knows what it can do well and doesn’t lose focus at the key moments. Sevilla have won another final, the fourth in a little over thirteen magical and unforgettable months. At last, this was a Spanish trophy. Güiza was unable to beat Palop when he seemed certain to, the Sevilla ‘keeper epitomising the incredible spirit of this team. Kanouté almost had too much time to think about how to beat Luis García. But he kept his nerve, and drove Sevilla on to greatness. The start was electric. Sevilla were ready, and it showed from the beginning. An incredible 50,000 Sevilla fans were there, making it clear that only a win would do. The sensational atmosphere served as an extra spur for Juanda Ramos’s players, who came out flying. They created a huge amount down the right, with Dani Alves doing a lot of damage, and Navas giving Getafe a warning after six minutes. But just when Sevilla were at their best, the biggest scare of the night arrived. A defensive error left Güiza on his own. He tried to go past Palop, but the goalkeeper stood firm. The goalkeeper for the big occasion. As it turned out, Güiza couldn’t afford to miss, as Kanouté went through on goal a minute later. And he rarely gives you a second chance. After taking the ball from the halfway line, with two defenders in pursuit, the Malian beat Luis García in the Getafe goal. In the 11th minute, the Sevilla fans in the Bernabéu were rocking. Sevilla were once again on their way to glory. 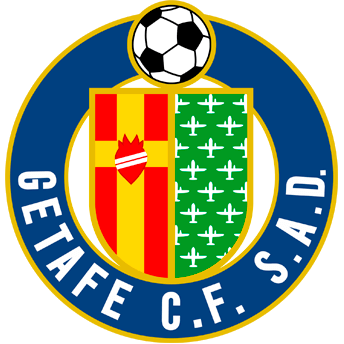 The goal left Getafe shaken. Sevilla looked for the second, and more chances came. Juande Ramos’s men created a great deal of danger on the attack. Renato, and particularly Luis Fabiano, with a header from inside the area which brushed the post, came close to doubling the lead. The same happened later when Puerta was unable to make the most of a good ball into the area. Danger came from the left-hand side too, with the youth team graduate getting into a good position, but the final ball lacked the required precision. The team were impressive at the back too, with the few chances Getafe had to play with being cut out by an excellent Drago. Sevilla, then, were in a strong position when Rodríguez Santiago blew the whistle for half-time. In the second half, Sevilla remained on top and continued to create danger. But they couldn’t deliver the knock-out blow. The clock, nonetheless, kept ticking, and although the side from Madrid kept pushing, they were unable to create clear chances thanks to Juande Ramos’s side remaining solid at the back. Duda and Martí replaced Puerta and Renato respectively. Meanwhile Navas tried his luck from inside the area but the lack of power in his effort meant he couldn’t find the net and finish the game. The match went on and towards the end of the 90 Kanouté was sent off for a kick. Sevilla would have to hold on. They had to fight for glory, but it was worth it. Once again, glory. Once again, greatness. The best Sevilla side in history. 1. 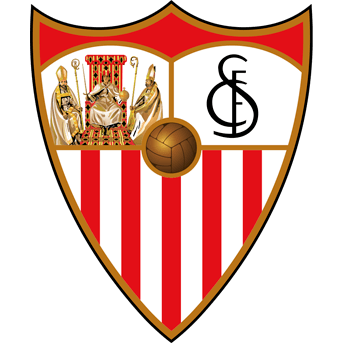 SEVILLA FC: Palop; Alves, Javi Navarro, Dragutinovic, Escudé; Poulsen, Renato (Martí, min. 80), Jesús Navas, Puerta (Duda, min. 75), Luis Fabiano (Kerzhakov, min. 48) y Kanouté. 0. GETAFE CF: Luis García; Contra (Pachón, min. 84), Belenguer, Pulido, Paredes, Celestini, Casquero, Cotelo, Nacho (Vivar Dorado, min. 70), Manu del Moral (Verpakovskis, min. 79) y Güiza. GOALS: 1-0, min. 11: Kanouté. REFEREE: Rodríguez Santiago (Castilla y León). Yellow cards: Renato (min. 27), Duda (min. 90), Paredes (min. 40), Güiza (min. 45), Belenguer (min. 50), Nacho (min. 63), Celestini (min. 87). Red cards: Kanouté (min. 88), Contra after the match had ended. GENERAL: Copa del Rey Final 2006/07, played at the Santiago Bernabéu (Madrid) on 23 June 2007 in front of 80,000 spectators.